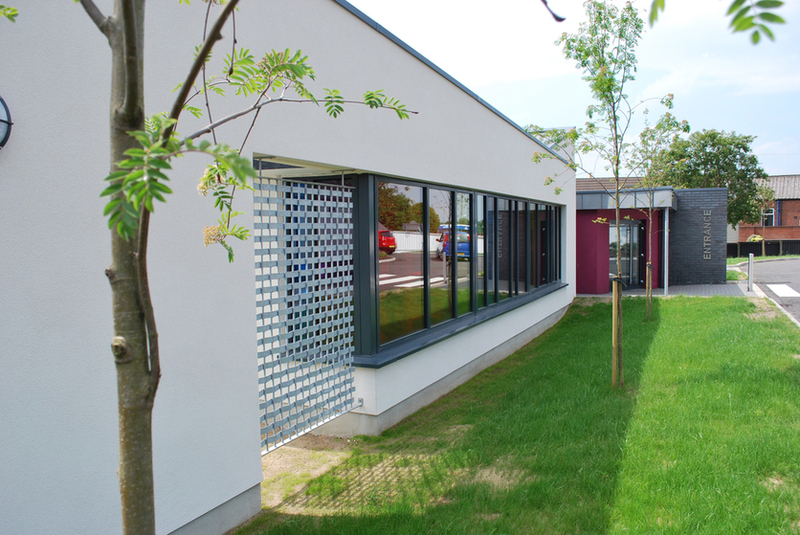 The SEELB appointed BGA Architects to produce feasibility options for development at this Lisburn Primary School, following serious fire damage, as the result of an arson attack in April 2006. The ‘National School’ building on the site dated from 1906 with two subsequent extensions, the most recent of which, a block of six classrooms to the rear of the school, suffered the fire damage. 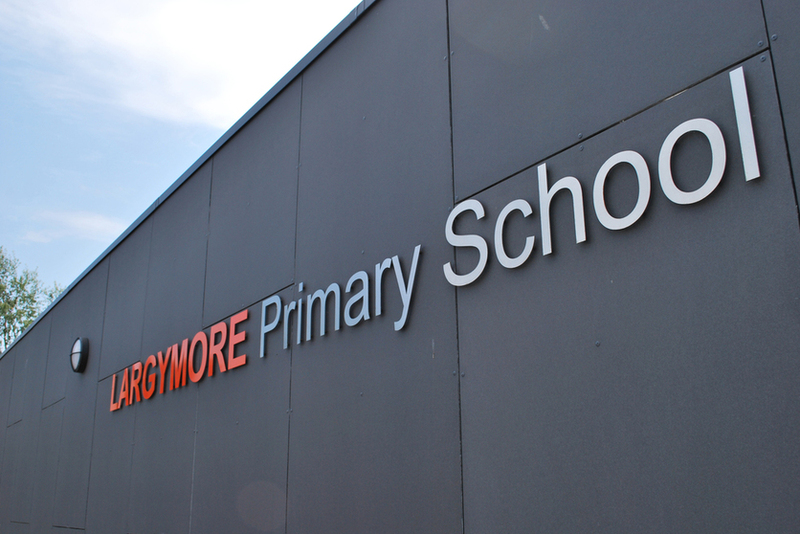 The Board took this opportunity to rationalise the accommodation, from sixteen classrooms before the fire to eight, to meet the current and anticipated future intake, as well as addressing other issues with the existing complex. The main entrance to the school was uninviting, hidden & remote from the car park, concealed behind the 1906 building, which was of little architectural interest and dominated the public face of the school to the main Hillhall Rd. It suffered from damp, was in a poor state of repair and on a significantly higher level than the main school making accessibility difficult. The buildings didn’t present a very positive or welcoming image to the public. The approved scheme involved the demolition of both the fire damaged block and the ‘National School’ building, the construction of a new 2 classroom block to the rear and the re-organisation of the main entrance. 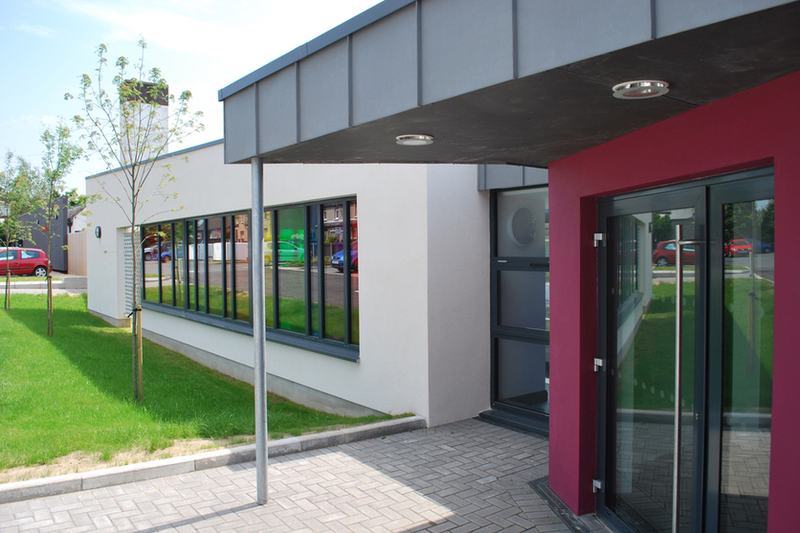 The aim was to create a bright, welcoming and contemporary centre of learning. The demolition to the Hillhall Road changed the orientation of the school, opening the entrance to the public, engaging not only with the school family but creating dialogue with the neighbours and wider community, creating a positive focal point for local regeneration. The treatment of this long single storey front elevation was considered in detail to ensure the legibility of the new focal point entrance. A skin of monotone fibre cement panels was applied to the existing kitchen block, facing the main vehicular entrance. 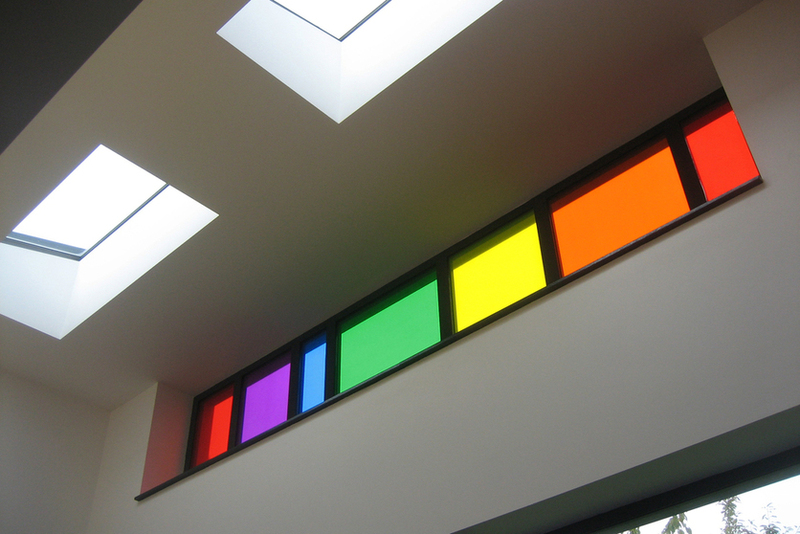 This simple block contrasts with the dynamic crisp white rendered parapet walls and large area of rainbow coloured glass, leading to the overhanging zinc canopy of the entrance lobby. The external hard and soft landscape design retained the existing mature trees and provides a new one way traffic system and additional staff parking. 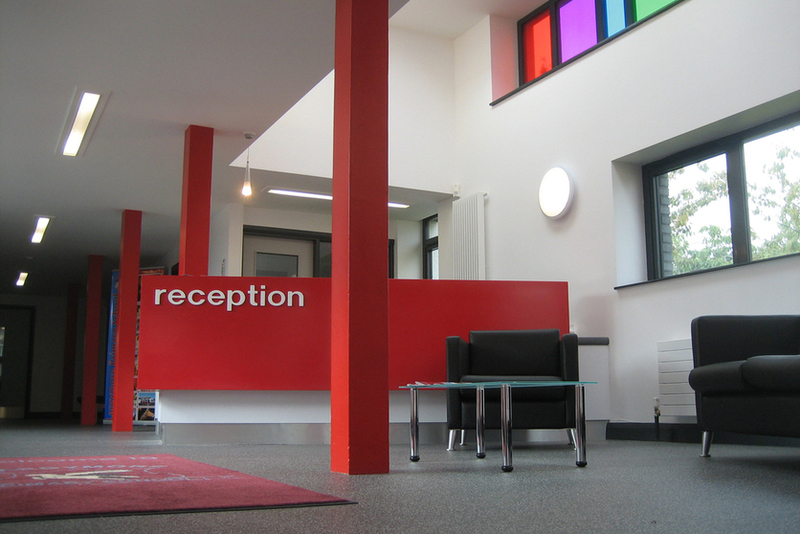 The new reception area and entrance lobby design involved only 20m2 of new floor space, making maximum use of the original construction. 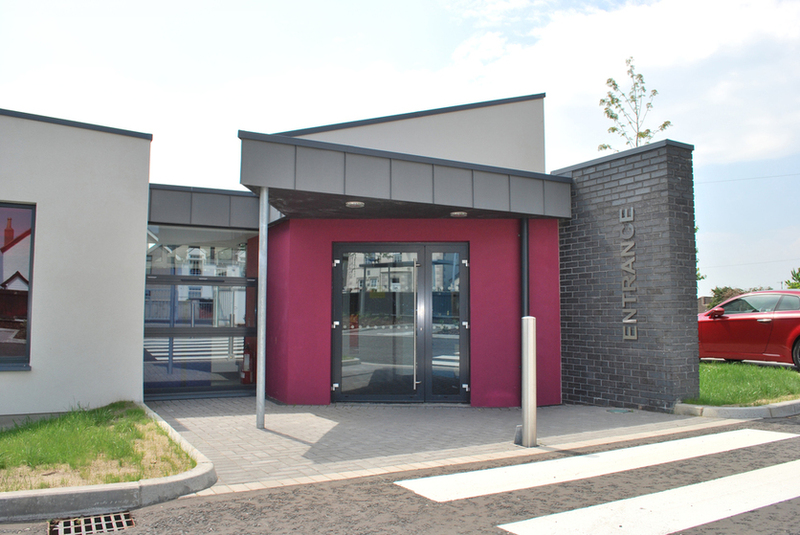 The aim was to provide an accessible, bright, welcoming and stimulating entrance area. Double height spaces with frameless glass rooflights, rainbow coloured glass panels and a focal point reception desk and were designed to create a sense of interest in the space. The new Primary 1 and 2 extension to the rear is visible from Largymore Link, a busy connection between the Hillhall road and the M1 motorway. The classrooms were designed with ‘lantern’ roof profiles with high level operable glazing, facilitating natural stack effect ventilation. The shared resource area benefits from frameless glass rooflights as well as a glazed south-facing wall with a sliding door opening to a paved play area with the playground beyond, an over hanging canopy provides a degree of solar shading. The pitched roof and flashing details to the flat roof are finished in standing seam zinc. The use of crisp white render integrates the new additions with the retained school buildings. The work was phased to ensure minimum disruption to the functioning of the school. Teamwork was key throughout the process involving the SEELB, headmaster, pupils, consultants and a good main contractor giving the entire school community a renewed sense of pride and identity.